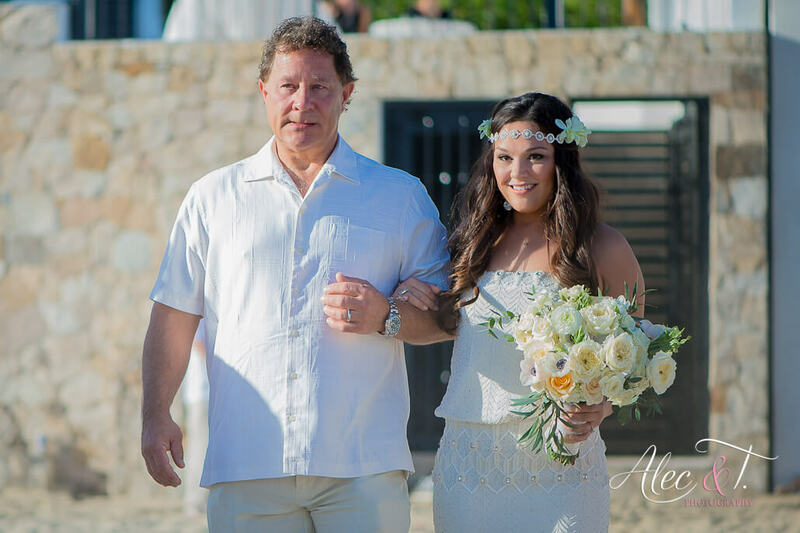 Laid-back bride Ashley wanted a beachy, relaxed look for her wedding day hair and make-up at Casa La Laguna here in Los Cabos. We styled Ashley’s dark brown hair in loose waves down her back, which was a great look with her drapey beaded gown. 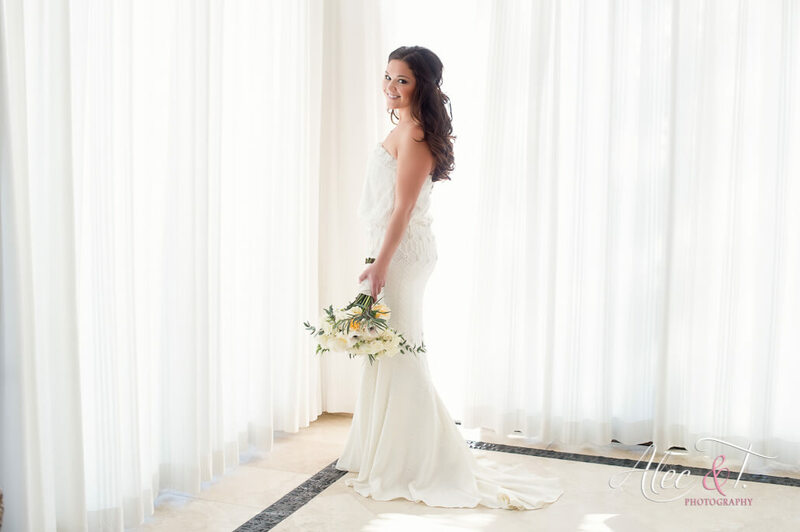 Her flowery hairpiece was a lovely down-to-earth detail and looks amazing in the photos! For Ashley’s make-up, we did airbrush foundation, which looks great in her photos and gave her flawless coverage throughout the evening. Ashley’s eye make-up featured a smoky look that we finished off with a light peachy lip. 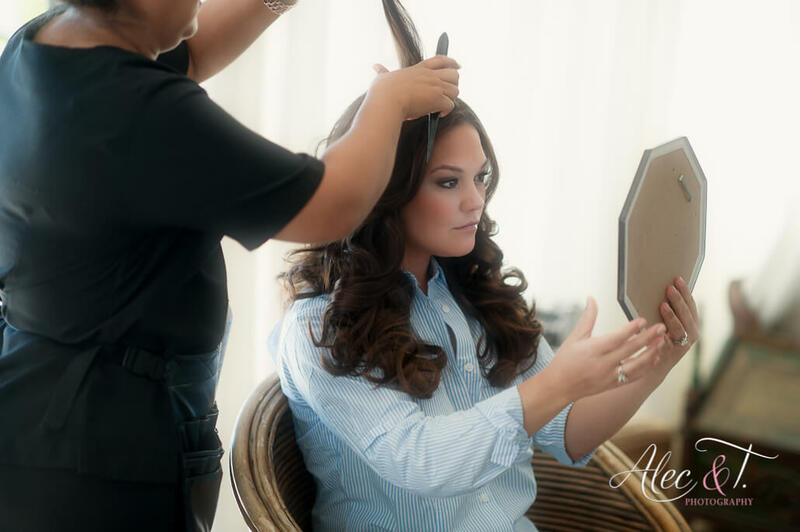 We also did hair and/or make-up for Ashley’s bridal party, which makes a great gift and ensures everyone looks fantastic in your wedding-day photos! 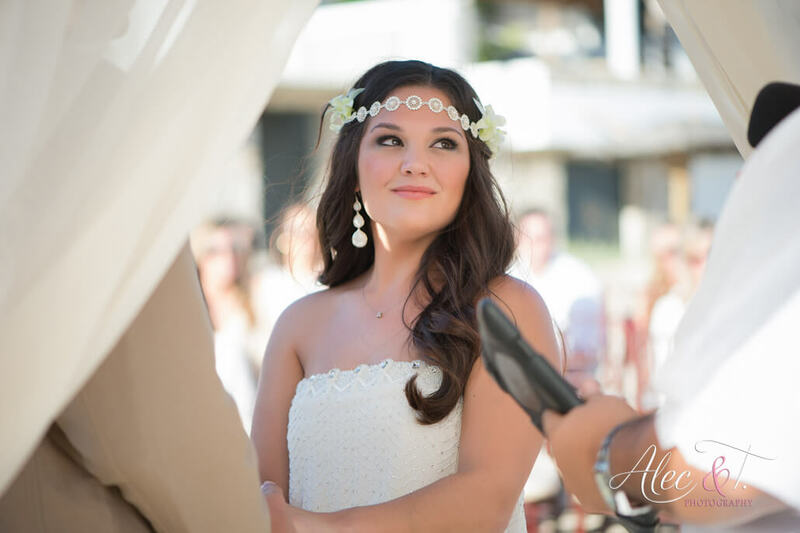 This entry was posted in Cabo Bridal Hair and Makeup and tagged beach wedding, beautiful bridal hair and makeup, best bridal salon Cabo, best wedding salon Cabo, bridal style, Cabo bride, Cabo wedding, Cabo wedding hair, Cabo wedding makeup, Cabo wedding vendors, Casa La Laguna Cabo, Casa La Laguna wedding, destination wedding Cabo, long wedding hair, Los Cabos mobile spa, Suzanne Morel, wedding down do.